Beverly Hills-based boutique brokerage The Agency announced its plans to open an office in Miami by the end of the year, in an interview with The Real Deal on Tuesday. If all goes according to plan for the Miami office, The Agency will be operating in 20 markets. 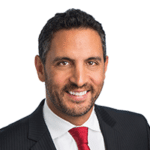 The Agency co-founder Mauricio Umansky told TRD that the brokerage has yet to determine the finer details, such as the office’s location, who will lead the Miami branch and which agents will join the team. One thing is clear, the firm wants to keep its boutique feel as it moves into new markets, so it caps the number of agent teams at all locations. In 2017, The Agency went on an expansion spree in California, adding Pacific Palisades, Calabasas, Sherman Oaks, San Francisco, Palm Desert, Palm Springs and Danville to its list of markets. And in 2018, the brokerage added offices in Malibu, California; Park City, Utah; and Pasadena, California. According to TRD, the Miami launch makes sense considering Umansky’s reach in the Latin American community as a Mexican-American immigrant, who also has a wife with Real Housewives notoriety. The Agency isn’t the only brokerage to turn its sights toward Florida. In July, Compass announced that it would be opening a new office in Naples, two hours west of the brokerage’s office in Miami. The Naples office currently has 15 agents under the leadership of sales manager Gary Nolan, but Compass said it hoped to grow the agent count to 70. In December 2016, Douglas Elliman expanded to Jupiter and Delray Beach, bringing its total office count in the state to 19. Douglas Elliman Florida CEO Jay Philip Parker said the brokerage decided to invest in new locations because of the strong development throughout the luxury sector.